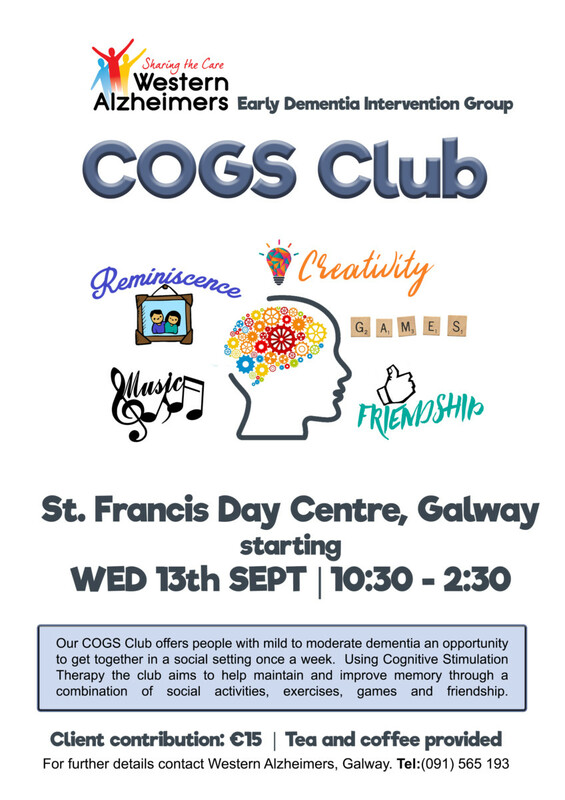 Join us for our first ever COGS Club at St. Francis’s Day Centre, Newcastle Road, Galway on Wednesday 13th September. COGS Club is an early intervention dementia group, offering people with mild to moderate dementia an opportunity to get together in a social setting once a week. Using Cognitive Stimulation Therapy the club aims to help maintain and improve memory through a combination of social activities, exercises, games and friendship. If you’d like more information contact our Galway Office – tel: 091 565 193.